When you meet another woman in business, do you step on her to get ahead or lift her up as you go? Seems like the answer is obvious but sadly helping others in business isn’t quite what we’ve been taught about business. Times have changed thanks to powerhouse business women like Myrna King. Myrna believes this is our time. And as a result, she’s empowering and arming women with the tools they need to stand for themselves and get ahead. 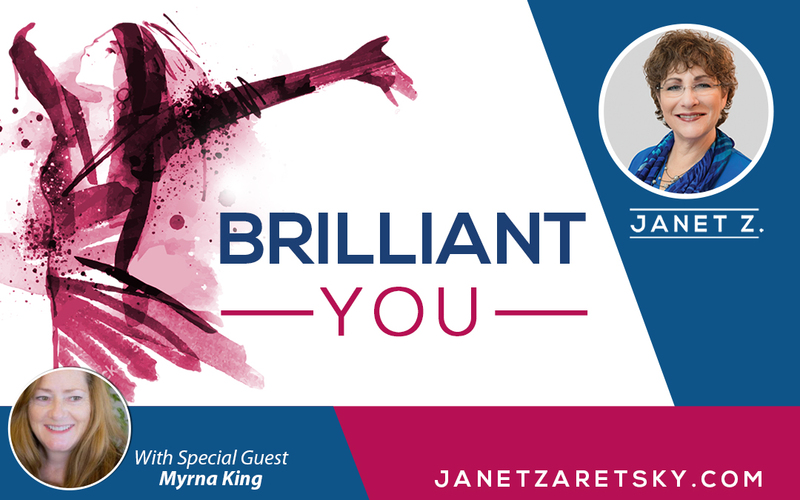 It was my pleasure to have Myrna join me on this episode of the Brilliant You Podcast. She’s a business and personal coach, a thought leader and consultant, as well as ⅓ of the 3 Belles who host female-focused events including an upcoming TEDx. She understands the challenges that business women face. She started her career in finance at a time when women were not only uncommon but treated like second-class citizens. The discrimination she endured will make your jaw drop but she managed to succeed despite it. That was where she discovered the value of learning to stand for yourself while helping other women rise up with you. In this episode, she drops countless truth bombs. She shares how she helps women negotiate their fair share during salary discussions. She enlightens us on how to turn dissatisfaction into opportunity. She delivers the prescription for working in a successful partnership (hint: it involves honesty!) And, shares the secret to leveling up our careers (whether in a job or as entrepreneurs). Perhaps most importantly, she reveals the value embracing request you might deem unreasonable. She issues a challenge that will have you testing the boundaries of comfort so that you can shed the limitations you’ve placed around your own growth. If you accept her challenge, it’s sure to result in a paradigm shift around how you do business and live your life. Need more confidence before you take on Myrna’s challenge?